TALLAHASSEE, Fla. — A new effort is launching to support undocumented immigrants having access to driver's license privileges in Florida. Sen. Jose Javier Rodriguez, D-Miami, and Rep. Dotie Joseph, D-North Miami, are among the immigrant advocates launching the Drive Together Sunshine State effort. 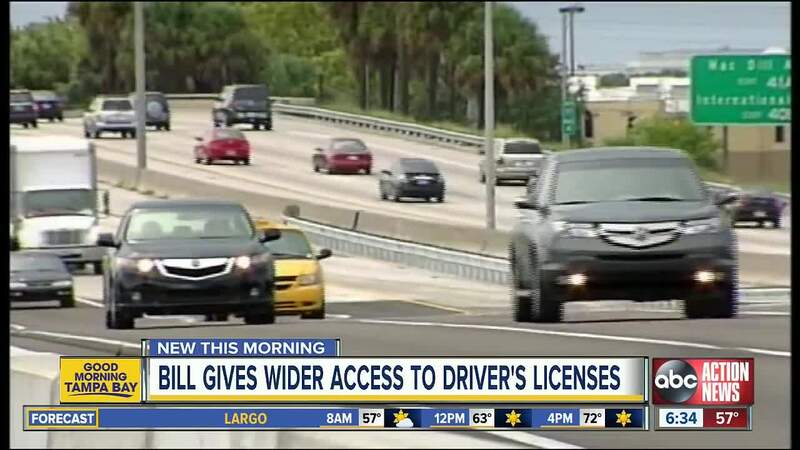 Drive Together Sunshine State suports SB 1358 "Driver Licenses and Identification Cards" and HB 969 "Driver Licenses" — legislation which would expand driver's license privileges to undocumented immigrants who live in Florida. Supporters say passing the legislation would lower insurance premiums and improve public safety on roadways because it would ensure all Florida drivers are licensed and insured. Currently, nearly a million undocumented immigrants living in Florida don't have access to a driver's license. "Undocumented immigrants in the state of Florida already contribute $573 million to Florida’s tax base, but because they don’t have access to driving privileges they have restrictions when attempting to access jobs, face long commutes, may be afraid to visit the doctor or take their children to school and live in constant fear of engaging a police officer and facing deportation," according to the Florida Senate Democratic Office. Sen. Rodriguez and Rep. Joseph are expected to take part in a news conference about the Drive Together Sunshine State effort at 12 p.m. on Wednesday. To learn more about SB 1358 "Driver Licenses and Identification Cards," click here. To learn more about HB 969 "Driver Licenses," click here.